God Has Your Tears, Precious One. You are NEVER alone. JESUS LOVES YOU NOW NO MATTER WHAT! Jesus, I had no idea where it was all going. All of my broken dreams and scars along the way. Your thoughts are so much higher. My plans were not yours, but now looking back at all the years, I see the Hand of Almighty God at work in my life. Your supernatural protection and Guardian Angels. The Comfort of The Sweet Holy Spirit to sooth my soul in the weariest of moments. 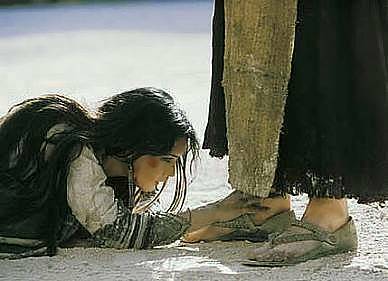 I never knew love until I surrendered to You, oh Lord Jesus. Thank you for wooing me back to You. Every tear was worth it just to know You the way that I know You now. Thank you for not leaving me there…Thank you, Oh my God and my King! Be set free, weary one.. This message will save your life. It’s up to you what you do with it. As followers of Christ, we’re struggling everywhere around the world. From the most life threatening struggles of physical persecution, to the ones that I know on a personal level (dealings with getting ready for Church). Clothes, my body, & presentation. My Bulimia acts are no longer around, but I am not healed. To live a happy life we must work on the quality of every day, from wake up, til going to sleep. There is no direct finish line to happy. It’s ongoing. 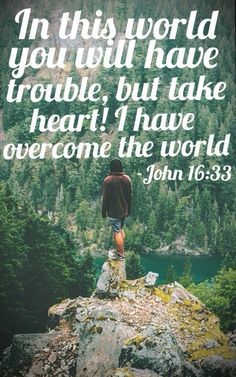 We work daily on overcoming the evil one. Daily is the race to our desired Home with Jesus forever. Driving along in the car tonight, I thought about some current situations in my life that need extra attention. These situations are part of not only my struggle, but part of the lives of others involved. The more I think of them, and then think of them in terms of being human and the trials of this life, it just all seemed silly. I was relieved I could finally smile about it! I see it for the learning experience that it really is. What can seem like the end to us can actually just be the deception of the Devil himself. In 2014, I have learned the following equation of the Soul. No matter how dead you may feel inside with doubts, anxieties or fears that challenge your daily lives and your very faith, God is alive. When you suffer with Jesus, you suffer with purpose, because you are being unraveled and the goodness in you is slowly being revealed in a brighter way. If we really try our darnedest, no matter what, the carvings and thorns will all make us better for the Lord. A new creation. There is much to be done, much to sow, and the reaping is going to literally be out of this world! Remember no matter what’s going on in your life, you are NOT over! You have much to live for right now! The power is in the present moment. Looking Up: We Can Overcome The Pain. Distractions keep us from living our best, from thriving and carrying out God’s plan for our lives. When we’re busy hating our bodies, our jobs or lack of a job, financial situations, and whatever circumstances life may bring, we miss out. Precious time slips out of our hands. Every moment, every memory and all gifts from above can go unnoticed and under-appreciated. Looking down at the ground when you’re holding a grudge can delay your miracle, your blessing. Instead we must look up. Looking up into the sky and its various cloud shapes, breathtaking sunrises and sunsets, at the greatness of the mountains, and intimidation of the oceans and waters of this world, we can see Him. There’s evidence all around us and wherever we may travel on the earth that there is something bigger than we. I see and feel God’s love, and I just wanted to share it with you. The greatest gift I’ve ever received was the gift of the Truth. The great news that God’s Son Jesus came to earth and lived as a human being, and still in these days knows exactly what it feels like to hurt, and even to cry.